Celebrate the Passover season with poetry and art! 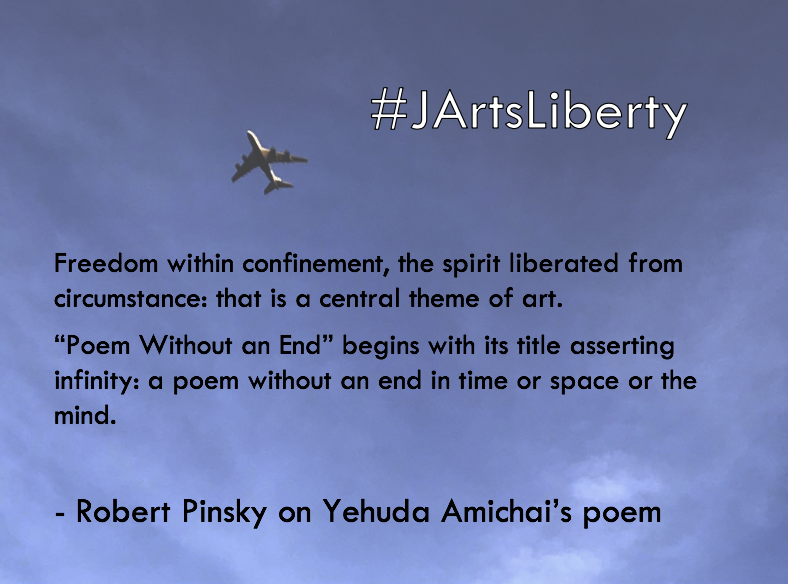 When you see Yehuda Amichai’s poem, “Poem Without an End,” on the Green or Red MBTA line, take a selfie with it and use #JArtsLiberty. Tag @JArtsBoston on Twitter, Instagram, or Facebook to get a follow and a repost! During #NationalPoetryMonth this April, we would love to read your poetry and see your artwork inspired by the theme of freedom! Be sure to use #JArtsLiberty. 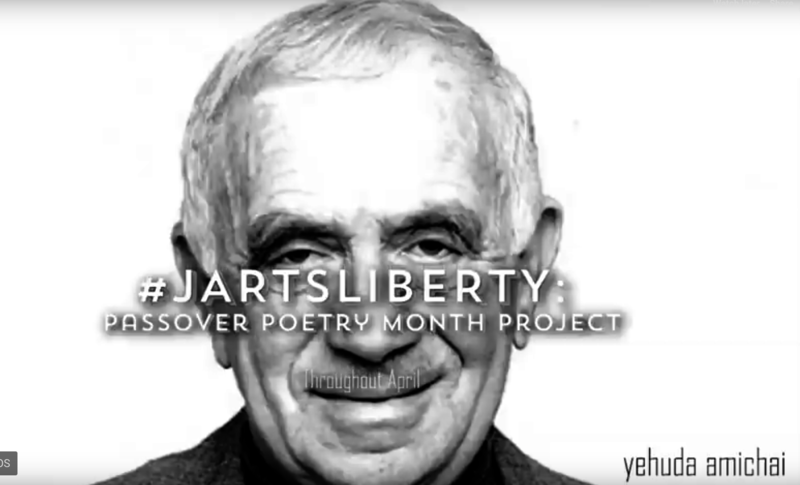 Inspired by Passover and National Poetry Month, JArts presents a month-long, freedom-themed public art poetry project. Chosen by a jury of acclaimed poets and teachers, the project is built around the freedom-themed poem, “Poem Without an End” by Yehuda Amichai. 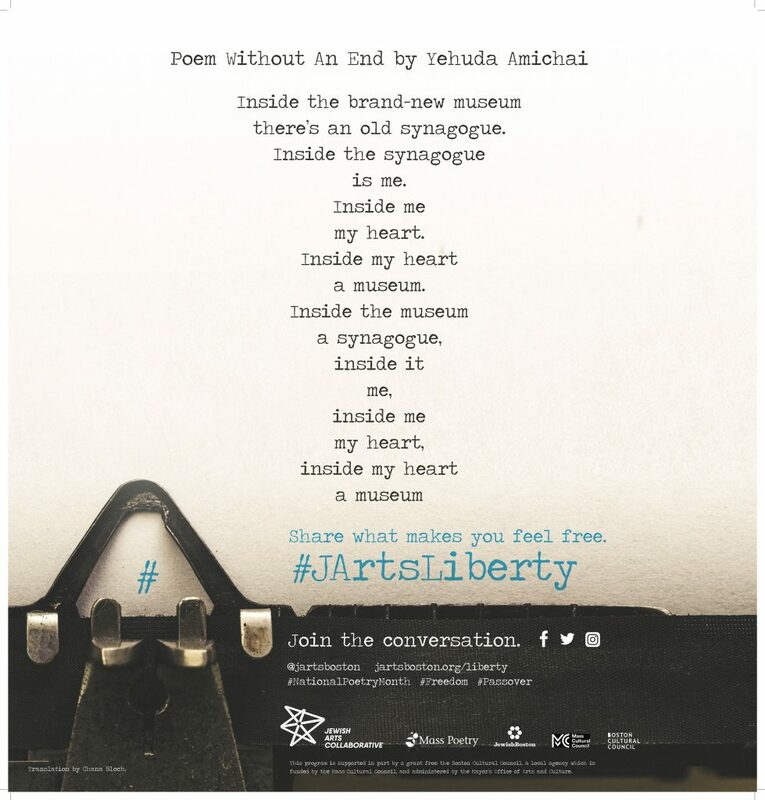 Look for the #JArtsLiberty MBTA posters on the Green and Red lines, share your photos and reflections on social media, and learn more about the poem and Yehuda Amichai at a community workshop. If you would like mailed copies of the project toolkit, please fill out this form. Are you involved in an organization that would like to host a poetry or art workshop exploring the theme of freedom? Please contact poetry@jartsboston.org. Widely considered Israel’s most important modern poet, Yehuda Amichai was born in Wurzburg, Germany, in 1924, emigrated with his family to Palestine in 1936, and died in Israel in 2000. His poetry has been translated into 29 different languages, which is why it’s been said that he is the most widely translated Hebrew poet since King David.